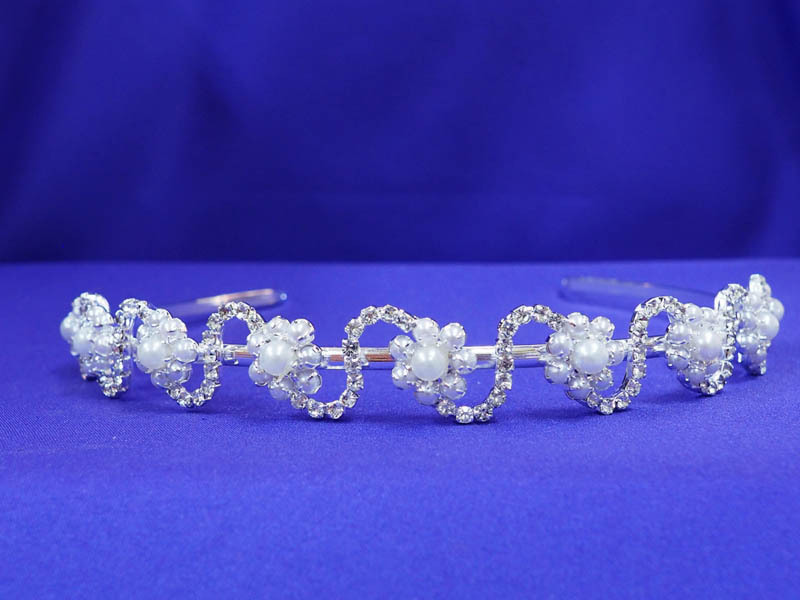 This floral headband features a Austrian rhinestone woven base and a lovely daisy mounting of faux pearls. It comes in a bright silver finish. Can also be worn as a tiara.